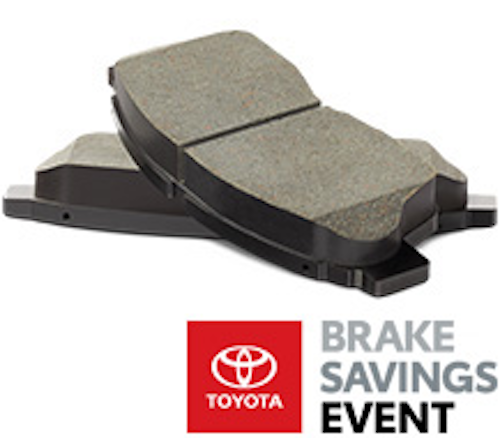 For March and April of 2019, the Toyota Brake Savings event is on! Through April 30, 2019, you can take advantage of special offers on Toyota brake pads, Toyota brake rotors, and installation along with other services for your Toyota braking system. We use genuine Toyota parts when servicing your vehicle, so you can rest assured that you’re getting top-notch components. Schedule service today at our dealership near Flower Mound to take advantage of this special event while it lasts. Throughout the Toyota Brakes Savings Event, you can get a $25 prepaid card* when you purchase replacement brake pads and have them installed. Replacing your front brake pads and rear brake pads regularly can help ensure that your vehicle will have the stopping power it needs, and when you come to Lone Star Toyota of Lewisville the installation will be handled by factory-trained technicians. Contact us today for details on this offer! 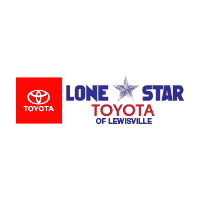 Whether your vehicle is due for brake service or if you’re in need of other kinds of repair or maintenance, the service center at Lone Star Toyota of Lewisville can help. We’re just a short drive from Carrollton, and we hope to see you soon! What are the 2019 Toyota Camry Colors? The 2019 Toyota RAV4 can do it all, and in the new year, it’s easy to find a model in the color you’ve always wanted. Take an in-depth look at the 2019 Toyota RAV4 color options with Lone Star Toyota of Lewisville, today, and then continue your research by checking out the 2019 Toyota RAV4 pricing and interior dimensions…. *Restrictions apply. See your participating Toyota dealer for details. Offer valid 3/1/19-4/30/19 on Toyota Complete Maintenance Care brake pads or OEM brake pads if a TCMC brake pad is not available for the vehicle. Brake pads must be installed by an authorized dealer. Additional parts may be needed. Offer excludes all applicable tax, installation costs, and previous purchases. Not valid with any other offer or advertised special. Toyota and Scion vehicles only. Void where prohibited. For $25 prepaid card, original redemption form required. Photocopies will not be honored. Rebate submissions must be received by 5/30/2019. Please allow 6-8 weeks for receipt of your card. Please retain copies of the materials you submit. No responsibility for late, lost, illegal, misdirected or incomplete submissions. To check the status of your rebate, visit www.checkyourrebate.com/Toyota or call 855-302-4572.